‘As different groups give different meanings to space, it becomes a multilayered place, reflecting the way places are socially constructed’ – (Knox, 1995). Design change by context and space will begin to form its own meaning and notions; creating its own signature style. The original concept and idea of a design from the designer can often be interchangeable. However, it does not mean the product itself has been misused incorrectly but merely given a new meaning and purpose. An example of this would be Banjarmasin’s public transport ‘Taksi Kuning’ (Yellow Taxi) design and its service. Taksi Kuning are usually yellow coloured mini-bus with altered back seats to accommodate people travelling short distances. This public transport from the 80s is quite popular transport choice and is cheap allowing for regular use by the locals to travel around the city. Instead of the usual car seats, the back has been replaced with two long seats facing each other. Taksi Kuning does not have seatbelts. The door of Taksi Kuning are always open for easy access. The setup of Taksi Kuning itself reflects the idea of short distance travel due to the unique design of the car. During the Banjarmasin trip, we used this service to travel from our hotel to Menara Pandang. In comparison to Australia, mini buses are usually used as hired transportation services such as car rentals to travel long distances or private use. The difference in service provided between Australian and Indonesian mini buses and its inner vehicular layout reflects on the context of these buses themselves. According to the Stanford University of Physical Activity Research, Indonesia was lacking physical activity, especially in the walking department with 3513 steps per day (Althoff et al). This could be a direct result of the existence of many forms of public transport such as Taksi Kuning on the streets of Indonesia which prevents Indonesians to walk and prefer to use public transport that enables them to arrive to their desired location conveniently. Hairulsyah 2013 mentioned ‘The sustainability of urban public transportation which has involved public participation, as it has been mentioned above, such as economic, social, and environmental sustainability, should be maintained. Even though Taksi Kuning has their own travel route, it can freely stop at any time. Hence not a very sustainable transport for the public. Due to these findings, context do change the meaning of a design. In this case, Banjarmasin’s public transport system and service is comparatively different than Australia’s due to the differing culture and custom of the people living in each country. Madanipour, A. 1999, ‘Why are the design and development of public spaces significant for cities?’, Environment and Planning B: Planning and Design 1999, vol. 26. The design of the built environment undeniably reflects the culture of the area it is situated in as society’s attitudes and behaviours impact the function and appearance of the structures they interact with on a day to day basis. This idea that ‘society produces its buildings, and the buildings, although not producing society, help to maintain many of its social forms’ (Ghinita 2016) can be reinforced with the understanding obtained whilst staying in the city of Banjarmasin and comparing it to the environment in Sydney. One of the unique aspects of Banjarmasin that distinctly stood out to me while I was there was the expressive nature of building exteriors, particularly the vibrant colourful paintwork. This evoked a contrast in my mind with the desired minimalistic appearance of buildings back in Sydney which provides a uniform and modern essence to the area. When considering that ‘architecture itself is a cultural subject, so it has become a significant cultural expression’ (Vasilski 2015), it becomes apparent that the vivid presence mirrors the city’s spirited society. This is also evident in the ‘rainbow bridge’ which runs across the river, the heart of the city, along with many structures made using a variety of materials or decorated with intricate patterns. Upon discussion with several locals, I found that they all favoured rich colourful designs which paralleled their lively and carefree characters, all which is reflected in their surroundings. Again, this sparks a comparison with Sydney, where things are more routine and bound within limitations and this is further explored in the statement: ‘Architecture is a manifestation of the cultural context in which it resides. The form and relationships of buildings and spaces act as a kind of “cultural marker” that can be read…to describe the way of life and social status of its inhabitants’ (Stephen 1994). Often, restaurants were designed with open dining spaces and unlike Sydney, many shopping malls weren’t enclosed within doors, providing it with an inviting quality and acting as communal areas. This mirrors the city’s close and welcoming community and demonstrates how ‘the reciprocal relationship between people and their environments are part of a system of agreements and interactions that constitute the culture of a society’ (Sevtsuk 2012). Conclusively, the observations made while staying in Banjarmasin along with the knowledge gained from experiencing the culture within the city established the significant impact that social principles have on the design of built environment. Sevtsuk, A. 2012, ‘How we shape our cities, and then they shape us’, MAJA: the Estonian Architectural Review, vol. 72, no. 2, pp. 10-15. Stephen, K. 1994, ‘Cultural influences on Architecture’, M Architecture. thesis, Texas Tech University, Texas. Ghinita, A. 2016, ‘How buildings influence society and how society is influenced by buildings – an introduction’, PhD thesis, University of Trento, Italy. Vasilski, D. 2015, ‘Minimalism in Architecture as a Cultural Symbol of the Times’, PhD thesis, University Union. Human psychology is similar across most people, regardless of where they come from. Good designers are able to understand, and use to their design’s benefit, how particular physical elements affect ones’ emotions. This can occur through the use of elements such as colours, sounds, and shapes. If a design is received with positive emotion, it becomes a successful design among its intended audience. A person’s cultural experience influences this psychology, making culture an extremely important factor to consider when designing within a particular context (Komninos 2017). Design, therefore, is shaped by local context; whether that be social, political or environmental. Consequently, it is the very reason why different countries all over the world look and feel different from each other. Most of the inhabitants of Banjarmasin, “the city of a thousand rivers,” live in close proximity to bodies of water. As a result of this geographical set-up, boats play a large role in the daily lives of Banjarese. The klotok, for instance, is a traditional form of river boat that can be seen and heard on many rivers throughout the city. The boats are primarily used for transporting people and goods, and are often found in floating markets, national parks, and fishing areas. Blues, greens and reds are the main colours used in and on the outside of the boats – a colour pallet that ties in seamlessly with the city around it. Klotoks are made from wood and designed with shallow draft and propeller to allow the boats for travel through the shallow waters, which is an essential feature of the boats, allowing its users to make full use of the rivers in the area. Many of the klotok boats have a roof which forms an upper deck for tourist use, but the boats remain compact in order to fit under the many low-lying bridges which cross the rivers. In contrast to Banjarmasin’s rivers is Sydney’s harbor, where the commonly seen ferry boats are used as an essential part of the public transport system. While the Indonesian klotok’s design is focused more on fulfilling basic necessities and practicality, the design of the Sydney ferries explores more avenues facilitating greater comfort for passengers – e.g. ergonomic seating, enclosed cabin space, reduced noise, and air-conditioning. These differences can be attributed to the different socio-economic cultures and needs of Sydney and Banjarmasin. Sydney harbor is very deep, and its large wharves allow for the boats to have deep draft, which gives the boats a smoother ride if and when the water gets rough. The ferries are constructed from more durable material (steel) than the klotok boats, and are painted Australia’s national colours – green and gold. A designer who designs in a foreign area faces many challenges. They are not able to purely rely on previous understandings or knowledge; rather, they must learn and adapt to the local context and culture. During my time designing in Banjarmasin I used many design techniques to evolve my thinking and understanding to suit the local area. Through undertaking a Dérive of the city and immersing myself in Banjarmasin’s culture by interacting with the locals, I was able to become empathetic to the local needs and peculiarities. Collaborating with Vital Strategies, who had personal experience designing in the area, greatly assisted in this process towards understanding how to produce successful designs in the context of Banjarmasin. My team and I designed boat banners for an event, which followed design cues from the city and seamlessly fit into the local context – this was achieved through the use of specific colours, shapes and patterns in our design. By acknowledging the local context, we created a successful design that had meaning to, and an impact on, its viewers. An unfamiliar location is an undoubtedly challenging work environment, and requires designers to be flexible, open-minded and logical. Instead of the designer being in complete control and “starting from scratch”, the context should shape the design. Utilising social, economic, environmental and political influences ensure that it will seamlessly blend with the context. According to Keinonen, recognizing the point of view of an insider and ‘enabling people to create meaningful solutions for themselves’  is a key factor in successful design. So perhaps it is less about giving people what they want or think they need, and more about paving the path for them to discover it by engaging with their own environment or community. Designers often form restrictive thought patterns of imagining themselves as end users, which overlooks ‘demographic, educational and socio-cultural differences’ [Oygur and Nancy 2010]. In fact, there are a variety of different methods to engage with user groups outside of their experience which can significantly benefit the design process. In my time in Banjarmasin, I found it crucial to properly orientate myself with the city, taking initiative to go on a many exploratory ventures as possible and attempt to communicate with the locals. This environment was starkly different to what I was used to, so I made it my goal to research and fully understand how locals went about their everyday life. This was out of my comfort zone, so I found myself needing to constantly reevaluate and acquire more information. Interdiscinplinary thinking is fundamental for successful design in different contexts, as it allows for broader scope and more thorough investigation. The ‘inherent complexity of nature and society’ is one of the four powerful drivers of this kind of thinking, as proposed by Bammer . A desire to explore unfamiliar cultural phenomena is an essential tool, as was discovered during the derives and map-making exercises. Having three different disciplines within our group gave us an advantage, as we were able to use business thinking and the logic of product design to combine with aesthetic knowledge. We needed to apply our skills and lateral thinking to create effective solutions for a new client in a vastly different city. It is no surprise that ‘situational factors can exert a strong effect on human behavior’ [Morgeson, Dierdorff and Hmurovic 2010], which can shape, enable, or constrain the form of a work. In this way, it is imperative for a designer to preserve their values and ethics, even when in challenging circumstances. In Banjarmasin, we helped create an event that allowed the community to interact and play a small part in a bigger societal change. This was a step towards becoming a creative chameleon with globally applicable values and cultural intellect. Morgeson, F., Dierdorff, E. and Hmurovic, J. 2010, Work designin situ: Understanding the role of occupational and organizational context, Journal of Organizational Behavior, vol 31, no 2-3, pp.351-360,. Oygur, I. and Blossom, N. 2010, Design and the User Experience: The Turkish Context, Design Issues, vol 26, no 4, pp.72-84,. Keinonen, T. 2009, Immediate and Remote Design of Complex Environments, Design Issues, vol 25, no 2, pp.62-74,. Bammer, G. 2013, Disciplining Interdisciplinarity, ANU Press, pp. 3-13. Boat, P. 2018, Designing With the User’s Context in Mind, Shopify. viewed 1 February 2018, <https://www.shopify.com.au/partners/blog/97802374-designing-with-the-users-context-in-mind&gt;. Bowles, C. 2013, Designing with context, Cennydd Bowles. viewed 1 February 2018, <https://www.cennydd.com/writing/designing-with-context&gt;. Australian Curriculum 2017, Concepts of interdisciplinary thinking, viewed 1 February 2018, <https://www.australiancurriculum.edu.au/media/1020/figure-1-sub-strand-specific-illustrations-of-concepts-of-interdisciplinary-thinking.gif?width=481&height=486&gt;. Context plays a significant role in how a design is received and shaped. This is due to the nature of a design for when it is realised into the larger world, the designer loses any ability to influence it in the finite and controlled manner that they have interdicted to be accustomed to. In this light the design’s new identity encapsulates its context defined by the adaptations to its original form. As an example of this continuing product design journey, we can examine the pervasive and vivacious part that the motorcycle plays in Indonesian culture. Due to a rapid increase in purchasing power of the average Indonesian within the last 20 years, motorcycle use is experiencing a boom. Currently some 77 million individual motorcycles are registered to drive on Indonesian roads, up from approximately 40 million in 2008. Such a rapid technological take up is seemingly unprecedented in a developing nation such as Indonesia, as it does not seem economically feasible. However, when examined more closely, the issue reveals itself to be more complicated. Increased motorcycle use has been attributed to a failing in the public transport system, a political and economic issue. As Indonesia is rapidly propelled from its agrarian labour economy into an urbanised industrial economy, the nexus of its populous becomes a pressing issue. Citizen travelling to work from rural areas are forced to find their own way as the government’s public transport infrastructure fails them, in turn put more strain on the roads connecting economic and urban centres. Furthermore, examining on a more localised scale, many factors become apparent that indicate how the actual design of motorcycles has facilitated their uptake and pervasiveness on such a large scale. Motorcycles are accessible as a technology. Coming from farming implements and predominantly petrol based mechanical equipment, the motorcycle’s engine is easily serviced and maintained. Researchers noted even in the 1930’s, that the “Natives in Java, as elsewhere in the East, have seized on the opportunity given them by the petrol-engine to set up in business on a small scale with taxis and motor-buses.” (Davidson 2007). Building on this, the increasingly popular practice of repurposing 2 and 4 stroke engines into boats and other vehicles has proven the versatility of the technology and ensured its place as a staple artefact in the day to day life of the Indonesian population. This outlines a different culture value of the design. Moreover, this epitomises a different adaption of the design across culture. It is clear from this example that the motorcycle has, in the context of Indonesian culture and society, been heavily shaped and altered beyond its original intent. This organic evolution has facilitated its adaptation and growth in popularity, and in turn continued it on the next step of its design journey, affecting both the original design, and the end users who integrated it into their day to day lives. It is thus shaped by its context, mirroring the unique Indonesian culture. Davidson J, Henley D 2007, The Revival of Tradition in Indonesian Politics: The Deployment of Adat from Colonialism to Indigenism, Routledge Contemporary South East Asia Series, 12 Mar 2007, pp. 98-99. Google Images. 2018. Motorcycles Indonesia. Viewed on 2 February 2018 .Available at: https://www.google.com.au/search?client=safari&rls=en&dcr=0&biw=1439&bih=896&tbm=isch&sa=1&ei=H1x0WsvJD4Om8QXBm66wDg&q=motorcycles+inodneisa&oq=motorcycles+inodneisa&gs_l=psy-ab.3..0i13k1j0i13i5i30k1l3.3239.10205.0.10527.21.17.0.4.4.0.217.2436.0j4j8.12.0….0…1c.1.64.psy-ab..5.15.2299…0j0i67k1.0.Ys6shxXlkW0. Back in high school, one day in English, my class was abnormally restless. Being a public school (and holding little respect for the staff), one bright eyed boy decided to push his chair out of the first floor window whilst the teacher’s back was turned. When she failed to notice, the rest of the class quickly caught on. Whenever she was preoccupied, we would pass along our chairs until they reached the desk of the Ringleader. He would then send it to the gathering mound in the garden below. A few minutes after adding the final chair to our contemporary artwork, the poor teacher noticed the lack of seating first beneath Peter, in the front row, and then quickly the rest of the room too. After muttering an impassioned expletive, she sighed, rolled her eyes, and wandered from the room. It might be poetic to insist, ‘Never to return!’, but, of course, she was back a few minutes later with the vice-principle (under whose interrogation I’m proud to say nobody cracked–the identity of the creative, yet ill-disciplined, boy by the window remained safe. That is until they made the connection between his geography and the significant pile of evidence beneath his window). But what has this to do with design? Well, tenuous though the connection may be, I believe we, as designers, should be more like Window Boy. No matter the background work, no matter the complexity of our design, it should be intuitive for our audience. That is to say, the user should be oblivious to much of our good design (though if the quality of design were less they might notice, and criticise, immediately). 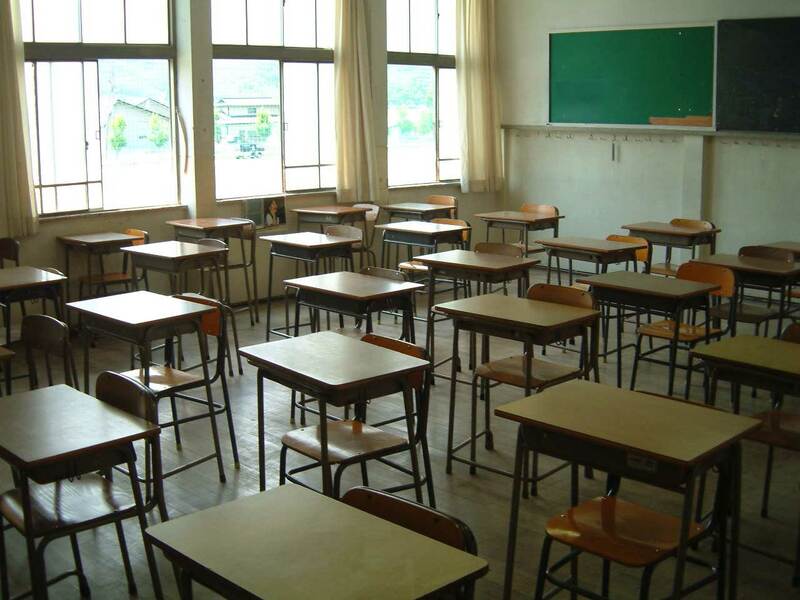 We want our audience as content and unconcerned as my teacher that day, before she noticed our classroom’s newfound minimalism. Taking a step back, design in the global culture, along with many other industries, is centred around individualism; the objective of discreet design to offer products and services which bolster the individual, offering them greater freedom and comfort [Huntington 1996]. As the intent of so much design in this cultural context, Individualism begins to seem integral to design. Yet when compared with more local contexts, this deception falls away. Indeed, this comparison between contexts requires that the subjectivities in values be discarded in order to discern similarity. The likeness left standing is the measure of good design. One such likeness, and the example we’ve been discussing, discreetness. In the global cultural context, the success of Apple operating systems stemmed from their philosophies of ’empathy’, ‘focus’ and ‘impute’, inspiring minimalist products of high quality which were not only easy, but intuitive to use [Levy 2000]. 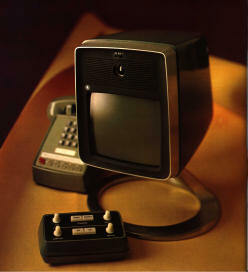 Or the AT&T Picturephone of 1970; users were put off by the complexity of use and the product was pulled from the market after only three years [Computer Design Solutions 2006]. The ‘discreetness’ applied (or not) in these designs seem characteristic of the global individualistic culture, yet it is not exclusive to it. 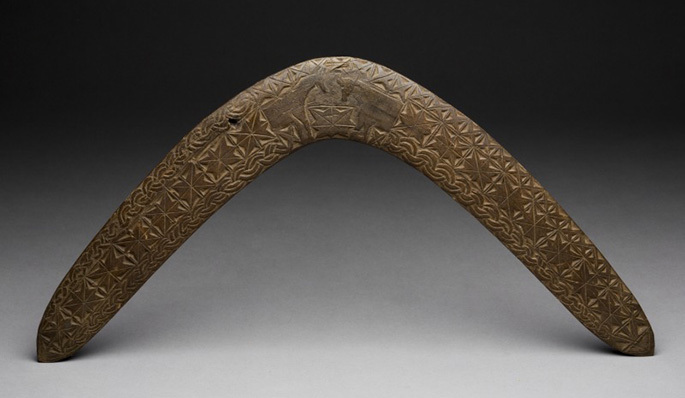 In a local context, the Boomerang, designed tens of thousands of years ago, demonstrates early application of ergonomics [Hess 1975], an example of discreetness in design from a culture utterly disparate from the one in which the Macbook Air was conceived. Similarly, in Jakarta in the 1980’s traffic congestion was increasing, but road closures and expansions would create too great an interference to be viable for the developing city. As a solution, Tjokorda Raka Sukawati designed a road development method (Sosrobahu) which allowed flyovers to be constructed with minimal disruption to existing roadways [Construction Asia Online 2017]. Rather than a simple user interface or a comfortable grip, Sukawati achieved discreetness by lessening the impact of development on his city. Culture may affect the execution of our design, and the philosophies motivating it, but it does not altogether revise the characteristics of quality design. A textile may differ drastically across cultures, or the need for a particular product, yet as we seek to design empathetically for our stakeholders, we apply universal processes which better connect us with those we seek to serve. So we need not discard all of our knowledge and experience in order to design for a new context. We (and here’s the kicker) can draw to mind the wisdom of Window Boy (in order to recall the value discreet design) without (necessarily) neglecting those for which we design! Regardless, I, for one, will sleep easier knowing that design everywhere is inspiring the sweet innocence of an oblivious year eleven English teacher. Hess, F. 1975, Boomerangs, Aerodynamics and Motion, University of Groningen Press, Groningen. Huntington, S. P. 1996, ‘The West Unique, Not Universal’, Foreign Affairs, vol. 75, no. 6, pp. 28-46. Levy, S. 2000, Insanely Great: The Life and Times of MacIntosh, the Computer That Changed Everything, Penguin USA, New York. An elusive phantonym, design is a word that means different things to different people, but at its core, is a framework for solving problems thoughtfully and thoroughly. As such, people who believe that can contribute positively to their surroundings replicate it throughout different contexts, both knowingly and unknowingly. It is developing a deep understanding of an issue, the context it exists in and the people who it affects, before creating outcomes to these issue that satisfies these multiple stakeholders. But that is where the universality ends – each individual design problem has its own unique properties that are defined by its own social, economic and geographic context. Problem definition is the first port of call in the design process, and is happens differently in different contexts. With aviation experts at a loss to why Korean Air had multiple crashes in the 1980’s, journalist Malcolm Gladwell defined the problem as being cultural. In a strict hierarchical structure, the co-pilot would obliquely suggest there was a problem in the cockpit that the lead pilot would not appreciate the severity of and overrule (Malcolm Gladwell, 2007). The next step problem exploration becomes more difficult in a global context because of language and cultural barriers. In our group’s experience, Banjarmasin was a relatively transparent place and young people spoke English well, so we could still rely heavily on conversation as a means of understanding youth smoking but had to still supplement it with observation and secondary research. A clear message, even in Bahasa Indonesia. Ideation thrives in some contexts more than others. Creativity flourishes in diverse environments that facilitate the high volume of creative output but the way a society functions can often inhibit this flow of ideas. Communities and organisations like Google and IBM whose leaders (be it CEO, parents, or government) accept failure open the gate to more creative ideas (Amabile & Khaire 2008). Design solutions are the most noticeable example of how design changes in different contexts influences design. Beautifully, perspectives change from person to person, city to city and country to country. As designers from Australia, designing banners to fit the context of Banjarmasin was difficult. We had to use an unconventionally bright colour palette in order overcome visibility challenges imposed by the inclement weather. These colours, although unconventional and unaesthetic in a global context, were frequently paired throughout the city of Banjarmasin. High visibility through vibrant colours. Finally, feedback is one of the most important parts of the design process and differs in different contexts. In the medical profession, there is a feedback problem where doctors are reluctant to provide deep feedback to trainees because of time constraints and the desire to develop a positive relationship with the trainees. This leads to under-qualified graduates, with 55% of medical supervisors reporting having passed trainees who could have benefited from additional training (Sultan & Khan 2017). So while design is relatively rigid framework, the intricacies of different cultures and contexts mean that design process on a different form each time it is engaged with. Amabile, T., Khaire, M. 2008, ‘Creativity and the role of the leader’, Harvard Business Review, viewed 29 January 2018, < https://hbr.org/2008/10/creativity-and-the-role-of-the-leader&gt;. Gladwell, M. 2008, Outliers: The Story of Success, Little, Brown and Company, New York. Sultan, A. & Khan, M. 2017, ‘Feedback in a clinical setting: A way forward to enhance a students learning through constructive feedback’, Journal of Pakistan Medical Association, vol. 76, pp. 1078.